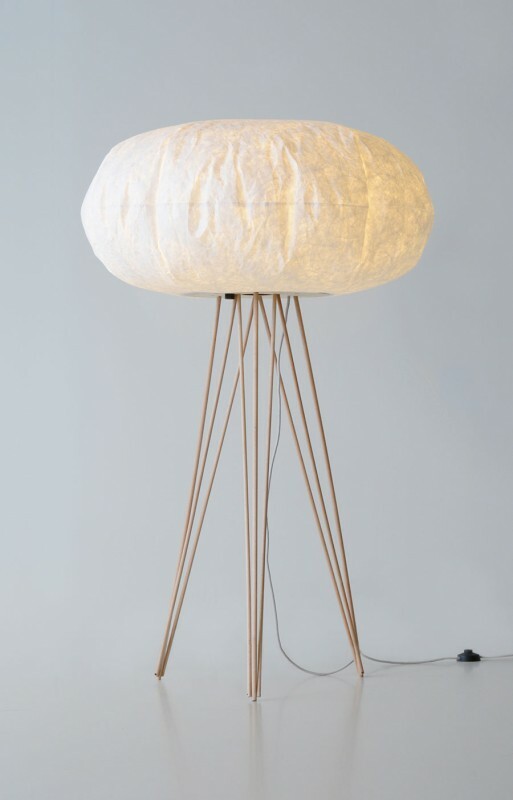 Moti High is the large edition (Ø 100 cm – 120 cm tall). It consists of a multiplex base with a HDPE inflatable shade. It has beech wood legs. The maximum energy consumption is 15 watts. The leds generate 3000k light at 760 lm.